With the recent news that Netflix has the rights to all 7 books, it seems like a good time to put together a dream cast. This thread is for discussing suggestions for actors to play Sons of Adam. Firstly, Bill Nighy to play Uncle Andrew. Honestly, he is so youthful looking, I can imagine him playing Peter Pevensie. I mean, he plays a fifteen year old Peter Parker in Spider-Man: Homecoming! Although it could get a bit confusing if he is cast in two major roles that share the same name. The Rose-Tree Dryad wrote: Honestly, (Tom Holland) is so youthful looking, I can imagine him playing Peter Pevensie. Though honestly I’d like some relatively unknown actors playing the Pevensies, again. I'm not an expert on actors but isn't Martin Freeman mostly known for being a comedic actor? If so I'd rather he not be cast as Professor Kirke. For some reason adaptations tend to portray the professor as a humorous character in different ways. (In the BBC miniseries, he's a childlike eccentric. In the Walden movie, he's dryly sarcastic.) And I never thought he was supposed to be that way in the book. Well, OK, he's kind of funny but not because of his attitude or personality. It's mostly because what he says is so different from what Peter and Susan and most people would expect while still sounding rational and adult for the most part. Maybe your thinking of Steve Martin? He is a comedian. Martin Freeman is Watson in Sherlock and Bilbo in the Hobbit. I would regard his performance as Bilbo as mainly a comedic performance. Or at least equally comedic and dramatic. Well, just so you know, I wouldn't mind Martin Freeman as the professor. I would just like them to cast someone without a humorous bone in their body because comedic versions of the character are a minor pet peeve of mine. But I'm sure if he were cast, Freeman would be excellent. I get that. I think if there was to be any humor in the one scene with him at the beginning of LWW, it would be from Susan and Peter’s responses. And even then, it’s very minimal. Even as a kid, I found their shock to be humorous, but not because of witty punchlines but because of how absurd his logic sounds at first and then because they can’t find away to argue with him. That said, it’s a very fine line and not all actors can walk it. Col Klink wrote: I would just like them to cast someone without a humorous bone in their body because comedic versions of the character are a minor pet peeve of mine. Absolutely agree; I've seen too many comical professors! Also don't turn him into an elderly eccentric - he is only 52 which is only middle aged, and has all his wits about him. Otherwise how could he continue to be a UK university Professor? I agree that the Professor shouldn't be a comedic character; perhaps there are laughs to be had in how other characters respond to him, but not in the man himself. If the filmmakers need more insight into him, I would turn them to chapter nine of Lewis's autobiography Surprised by Joy where he describes his great mentor William Thompson Kirkpatrick. I do like the idea of a younger professor! Hugh Laurie, perhaps? Tom Holland is 22, though; he's probably done with growth spurts by now. Still, it might be better to cast someone who is actually closer to the real age, especially if the other kids age and Holland looks the same. How about Gary Oldman? He could play the professor with a serious but lovable tone I think. I've had King Frank/the cabbie on my mind, probably since MN is a likely choice for the first whatever-they're-making. He's doesn't have a big role in a movies, but he has a huge role in Narnia. I don't want them to just throw a random guy in to play him; instead I'd like them to use someone relatively well known to add weight to his short time on screen. Also, I want an actor with a lot of range to bring his transformation to life and really show how he becomes more kingly. Unfortunately some of the actors I keep picturing as his type are too old. I'm thinking along the lines of Richard Armitage (to old? ), Richard Madden, or Michael Fassbender. I don't really watch enough movies to know who might really be a reasonable choice. Does anyone else have any ideas? I feel like I don't watch enough movies to have particularly informed opinions either, Anfinwen. 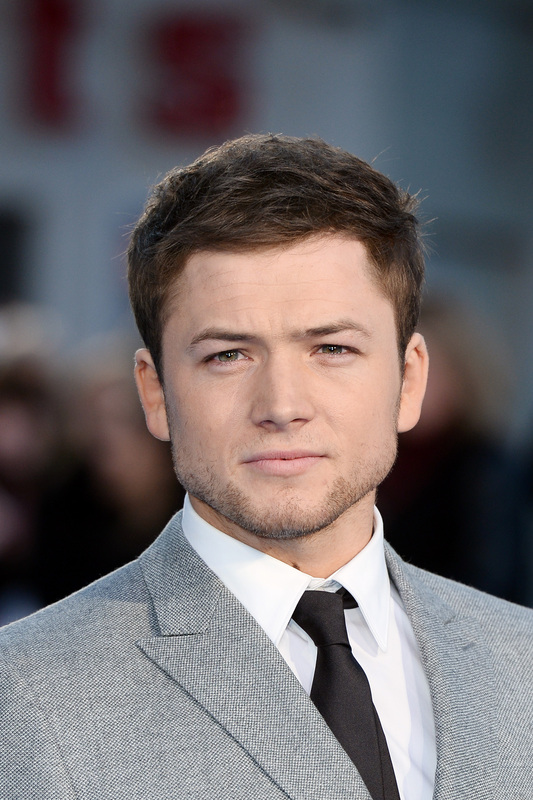 Taron Egerton is a possibility; I can picture his face belonging to a cabbie or a king. Apparently he sings, so that's also in his favor. He's younger than I imagined the cabbie, though; only 28. I always pictured King Frank as having a few lines on his face. I guess it's hard for me to imagine Aslan handing the keys of the kingdom to a twenty-something. Also, I think people aged faster in those days because life was harder. So someone in their mid-thirties, like Domhnall Gleeson, would be closer in line with that.